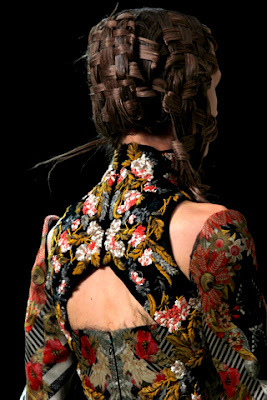 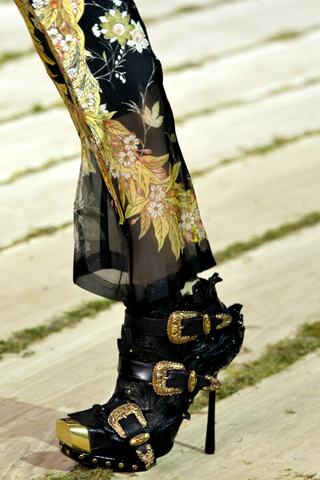 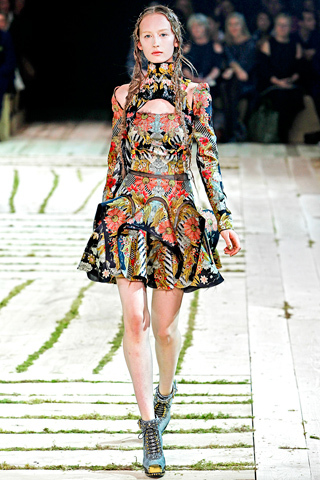 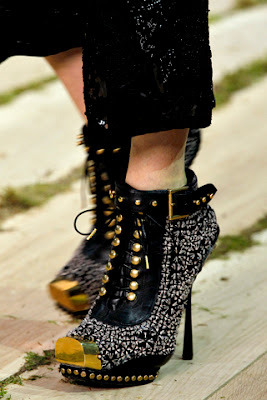 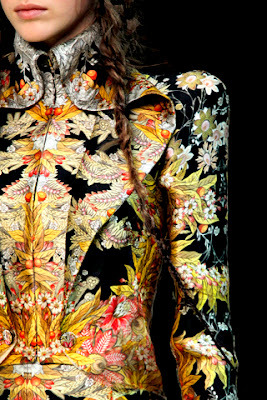 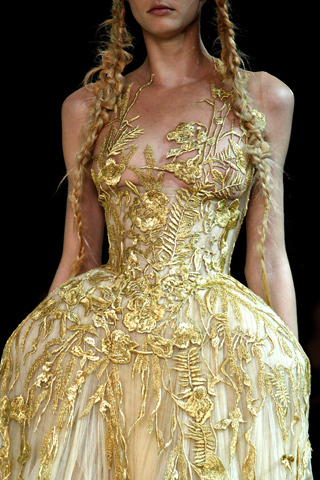 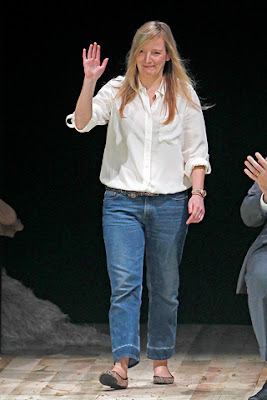 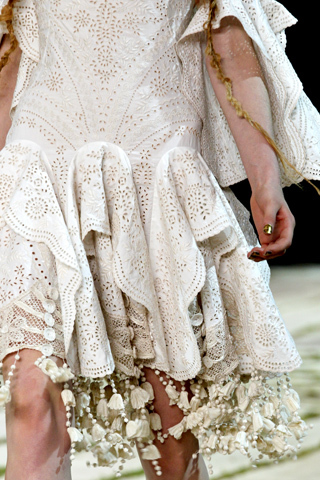 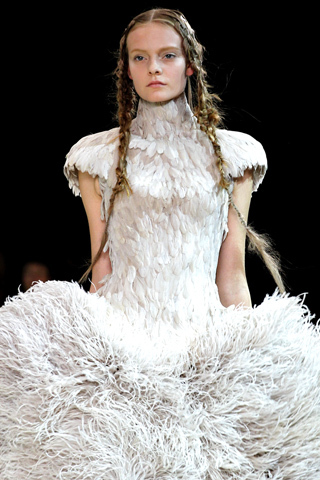 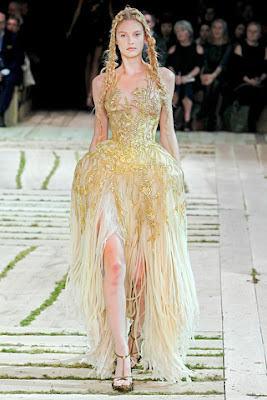 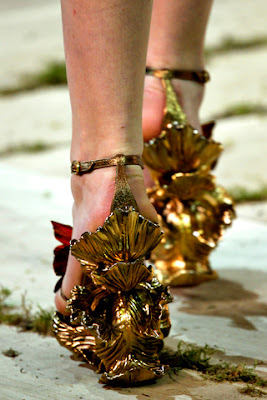 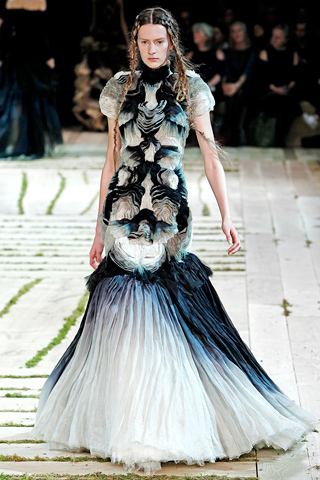 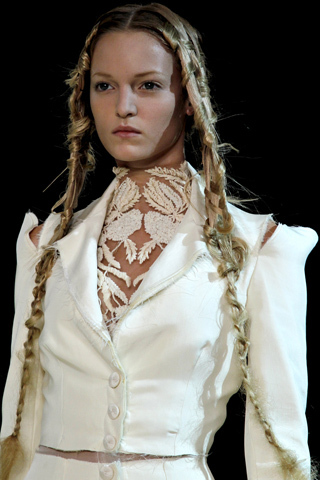 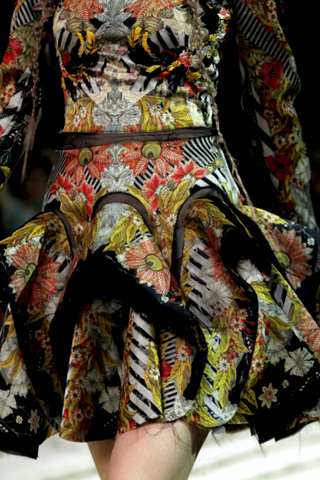 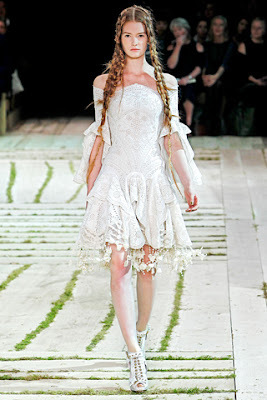 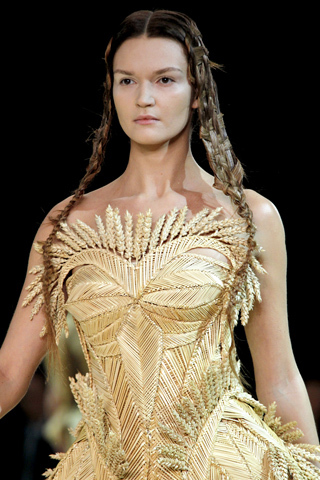 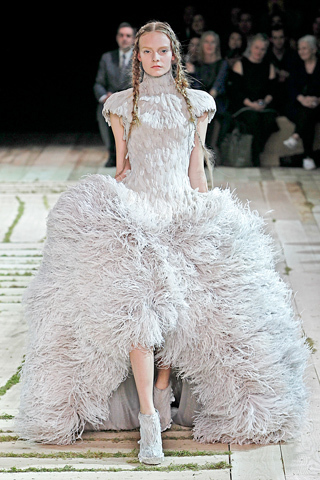 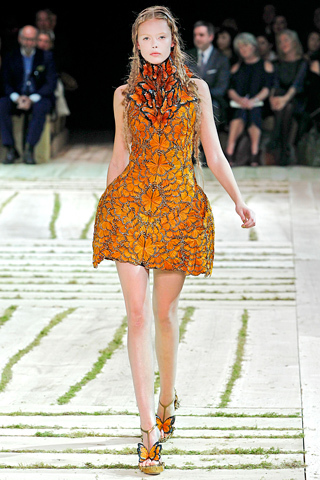 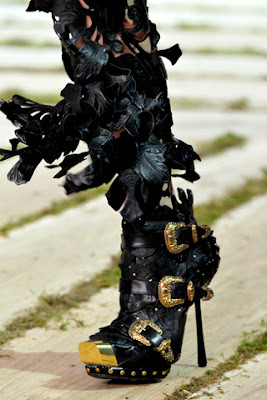 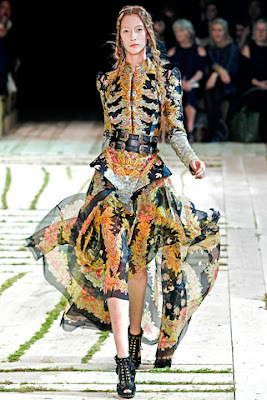 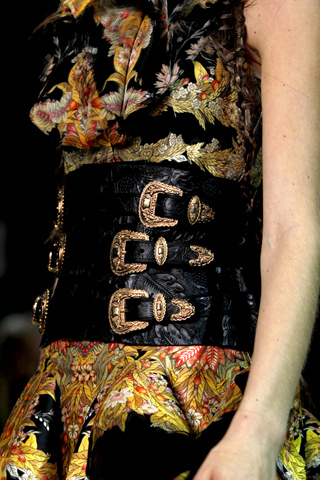 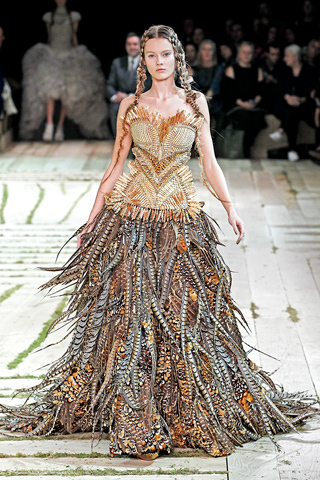 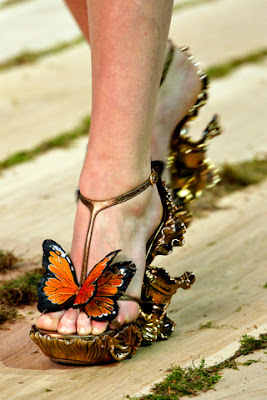 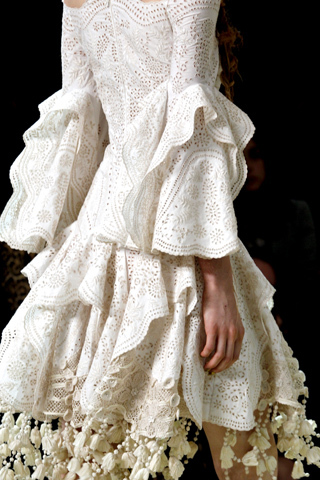 All I can say is Bravo, Sarah Burton! 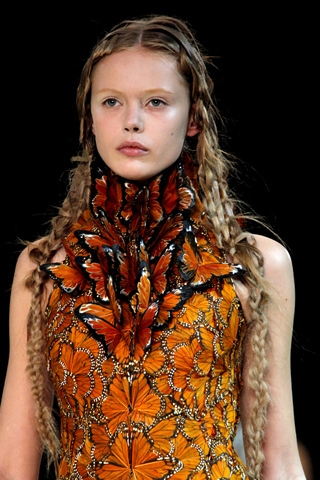 After the tragic death of the super talented (and my favorite designer) Alexander McQueen, everyone is wondering what is going to happen to this legendary fashion power house, who shocked and awed us season after season of McQueen’s sometimes dark & gothic glamorous creations. 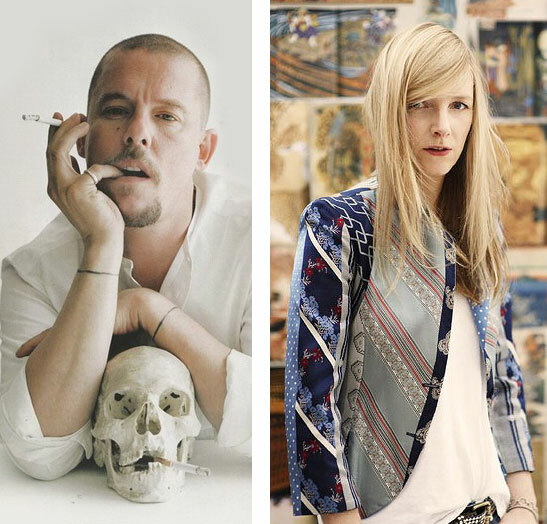 Sarah Burton has worked beside McQueen for over 15 years and in her first major fashion after taken over the house of McQueen, she has successfully pay a homage to the signature McQueen looks & tradition and a sense of herself. As we all remembered that McQueen is famous for his beautiful sharp, structured cuts in his garments, from shoulders, to the hemlines, it is glamorous with a masculine undertone, but with Sarah Burton’s debut collection, I feel that maybe because of her gender as a woman, it has played a big role on this new collection. Start from the very beginning of the show, you can see the usually sharp and arch upwards shoulder line on the signature McQueen tailored jackets, the shoulder line has been slashed open, so it drapes down a little also the ruffled details on the lapel and hem are cut in raw edges, it totally soften the McQueen signature structured look and adds a bit more femininity touch to it. 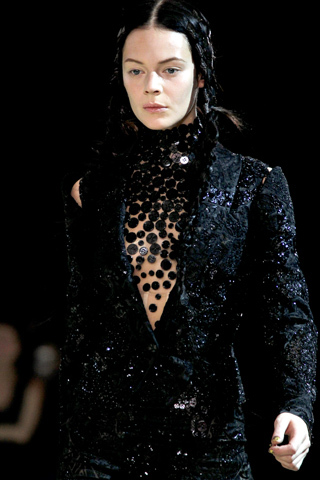 Also as most of Alexander McQueen’s inspirations are often dark, almost a little uncomfortable feeling to it, but she adds her own twist, maybe I say a more “positive” energy in her inspiration …. A pagan, earth-mother spirit, flower child feel to this new collection which you can see from various of floral or leaf pattern laser cut out leather pants & dresses, white cotton canvas tailor jackets & pants with raw edges, raffia-trimmed brocade, butterflies motifs, feathers to the basket weaves hair detail….. all gives a feeling a loving mother-earth, rebirth kind of positive feeling to it. 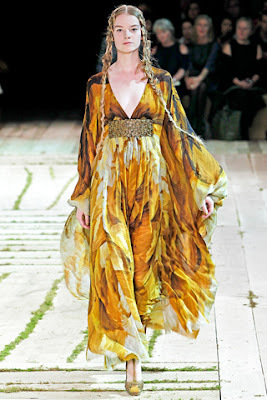 I just LOVE this new collection!